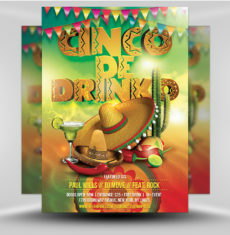 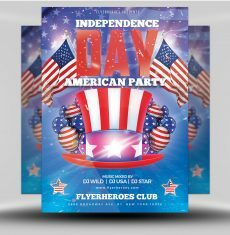 This clean, clutter-free and American-flag draped flyer design is a match made in heaven for bars and nightclubs across the country who’re promoting MDW specials this Memorial Day Weekend. 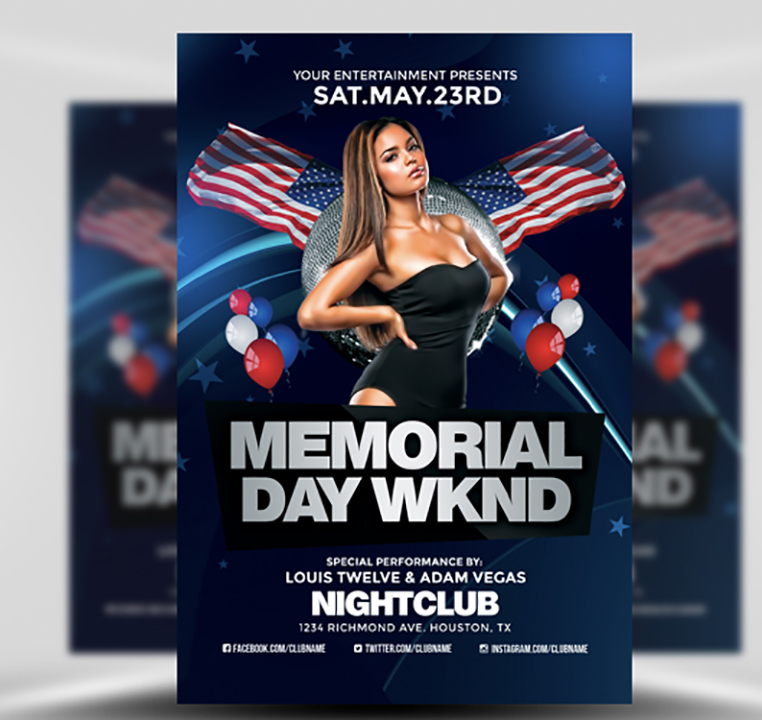 Whilst Memorial Day Weekend is traditionally a time to honour those in American military service, it is popularised by nightclubs and bars as a time to party the weekend away. 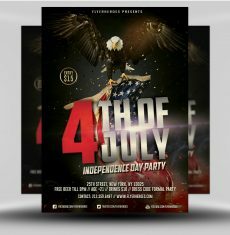 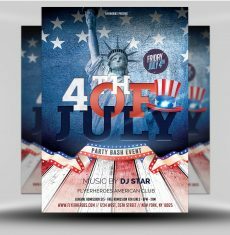 This modern Memorial Day Weekend Photoshop PSD flyer template is filled with American themed elements – such as a red, white and blue party balloons, colour scheme, waving American flags and subtle background stars. 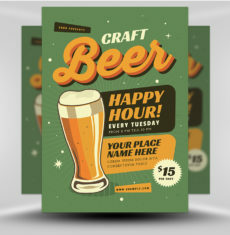 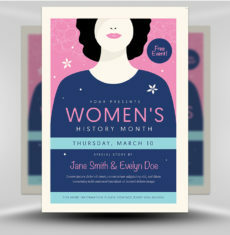 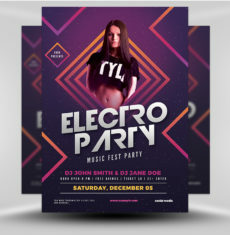 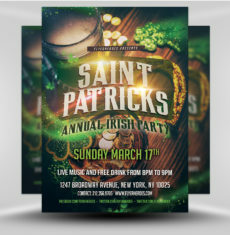 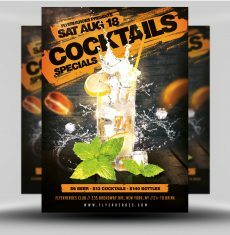 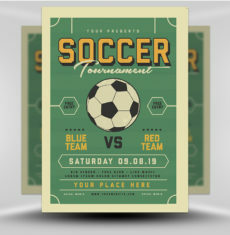 All text and image areas in this flyer template are fully editable and very easy to customize. 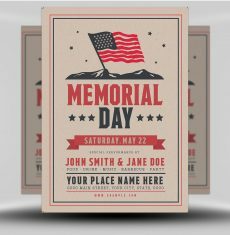 Simply edit with Photoshop and you’ll have a print-ready Memorial Day flyer in minutes! 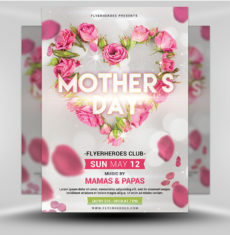 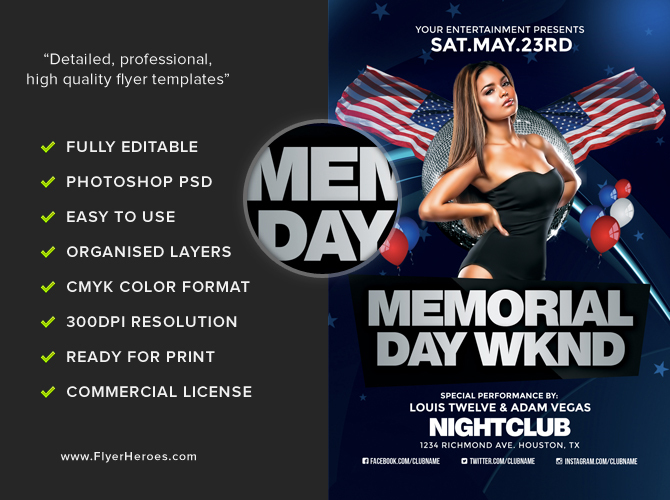 Memorial Day Weekend Flyer Template 2 is a premium Photoshop PSD flyer / poster template designed by FlyerHeroes to be used with Photoshop CS4 and higher.